Jim Bell is bringing many years of experience with NBC’s Olympics broadcasts to Telemundo’s 2018 World Cup coverage in Russia. NEW YORK — Jim Bell has been a key figure with NBC's Olympics broadcasts for 12 straight editions of the Games, dating back to 1992 in Barcelona. 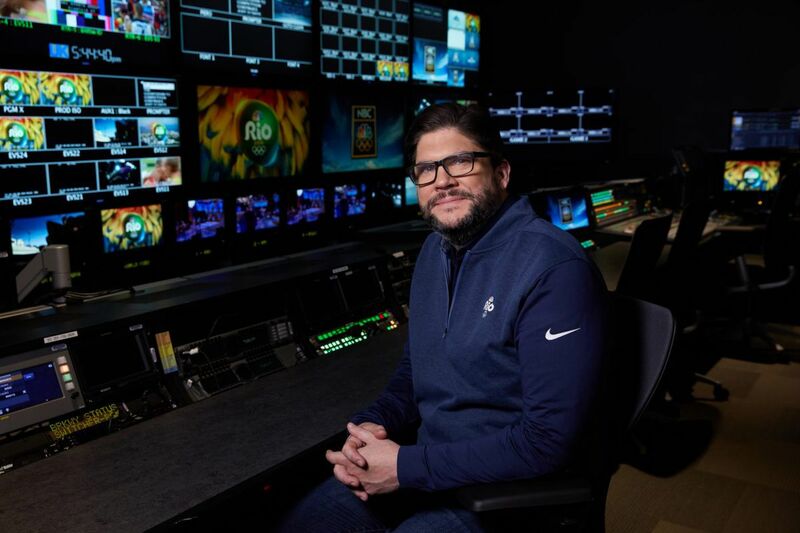 He is bringing that experience, especially when it comes to storytelling about athletes, to sister network Telemundo's World Cup coverage this summer in Russia. Bell spoke to the Inquirer and Daily News on Tuesday about his work on the World Cup so far, and what's to come. How different is a World Cup from an Olympics? I'll let you know. I'm only in the 100 days out stage, so I suppose I'll have a better answer for that afterwards. But in the build-up, certainly the fact that it takes place across 10 cities — spread out across a massive country, in the case of Russia — makes it very different. As opposed to being able to go to one city, hit the concentration of venues in one place, meet with a handful of people. So logistically, moving people around 10 different cities versus one city at the outset, and trying to make sure that we have the right connective tissue in terms of a plan and storytelling across all these cities is one of the major differences I see right now. When you're on the ground doing this, are you mostly speaking English, or are you mostly speaking Spanish? I would say it's about two-thirds English and one-third Spanish. Everybody knows what NBC can do with storytelling in sports broadcasts, because that's been the network's expertise for a long time. That's a big part of what you're bringing to Telemundo's World Cup coverage. When you measure the audience of who you're telling the stories to at this event, does it feel different than it does for the Olympics? No. I think what they have in common is that you're going to have these super-passionate sports fans, and then you're going to have some casual fans. And I think whether you're super-passionate or casual, being able to have an anecdote — I was talking backstage to Andrés [Cantor] about Maradona vs. Messi [Diego Maradona and Lionel Messi, Argentina's greatest ever players], and he started telling these great stories about Maradona. How he'd play a game at Juventus [in Italy] and drive his Ferrari back to Rome to fly back to Buenos Aires so he could be sure to play in a World Cup qualifying match. Those little moments didn't require a long, elaborate shoot or a taped piece. It's just the ability to tell those stories and bring those players to life with some kind of anecdote. That matters whether you're the Olympics or the World Cup. Now, the World Cup is a little different because a lot of the star players aren't as accessible. Olympians, generally speaking, they want to be accessible. With an Olympics, you have four years and lots of access to the U.S. Olympics Committee to spend time with all the athletes you want to. You don't with the World Cup. How much harder does that make the work for you? It is a challenge, but an opportunity as well because it forces us to be more creative in terms of our approach to storytelling. Are we able to find something, whether it's on social media or some anecdote of some coach, or some way to be able to find some baby photo, or whatever the element is that we can figure out, that will fall under that all-important category of storytelling. It's not all going to be able to be lavishly-produced, three-and-a-half to four-minute features where we'll have a sit-down with the athlete, and we'll go back to their home town and walk around. We're not going to be able to do that, probably, with Cristiano Ronaldo and Lionel Messi. But there are other ways to do it, and that's cool for us to be able to be pushed on that.